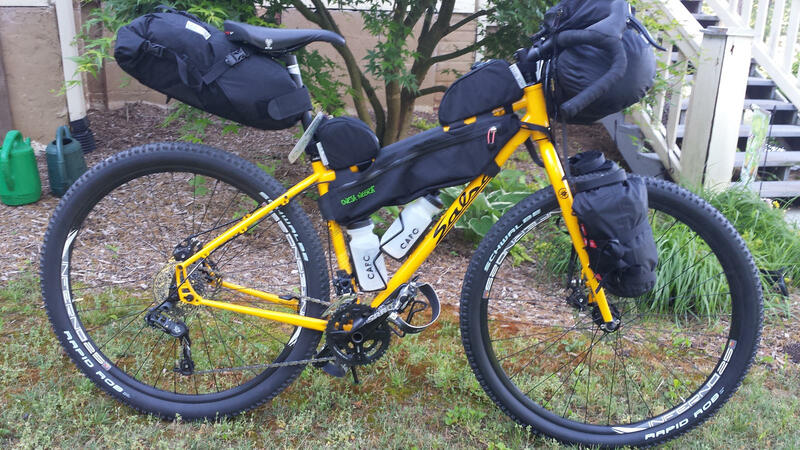 Bikepacking is the concept of multi-day bicycle touring on mountain bike trails. The idea seems to have hit the mainstream, with a recent article in Men's Journal about how to get started. Lo and behold, out of the 11 items that the article recommends, we've got 5 of them in stock! Regardless of the bike you choose (and we've got a number of good candidates available), Blackburn Design has you covered when it comes to carrying your stuff. 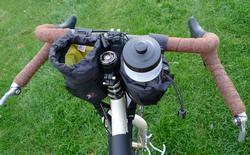 The Blackburn Outpost Handlbar Roll with Dry Bag features a versatile handlebar clamp with quick release and waterproof stuff sack. The Blackburn Outpost Seat Pack with Dry Bag takes the place of your usual under-seat tool kit, providing space for sleeping gear, clothing, and more! 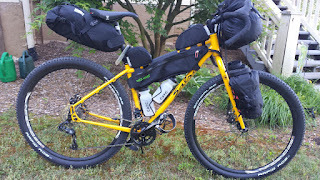 Not mentioned in the article, but we've also got the Blackburn Outpost Top Tube Bag, and Blackburn Outpost Cargo Cage for more storage options! 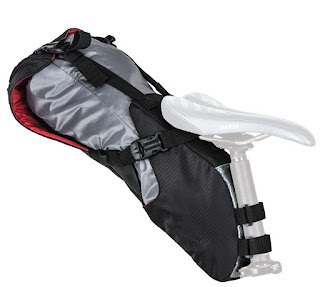 The Revelate Designs Mountain Feedbag provides an easy-to-reach spot on your cockpit for a spare water bottle, or snacks, or your phone, camera, or other electronics. The Lezyne Micro Floor Drive High Pressure with Gauge gives you top-quality floor pump features in a lightweight, durable, and portable package. The Salsa Anything Bag gives you 4.5 liters of waterproof storage, with a roll-top and flat bottom that sits well on the ground or a table. And, it's designed to fit perfectly in the Salsa Anything Cage or Salsa Anything Cage HD!